1. 4 shelves to hold number of products, such as comsumer electronics, small appliances and more. 3. Sit in the aisle of retail stores. 4. Shipped flat to save shipping cost. These floor standing displays can sit in the aisle of retail stores to draw attention from customers. They are made from corrugatd cardboard, but sturdy enough to support a heavy load mount of products. Create fresh graphics on the body of displays to be attractive, that can keep budgets down, but make an innovative advertising. 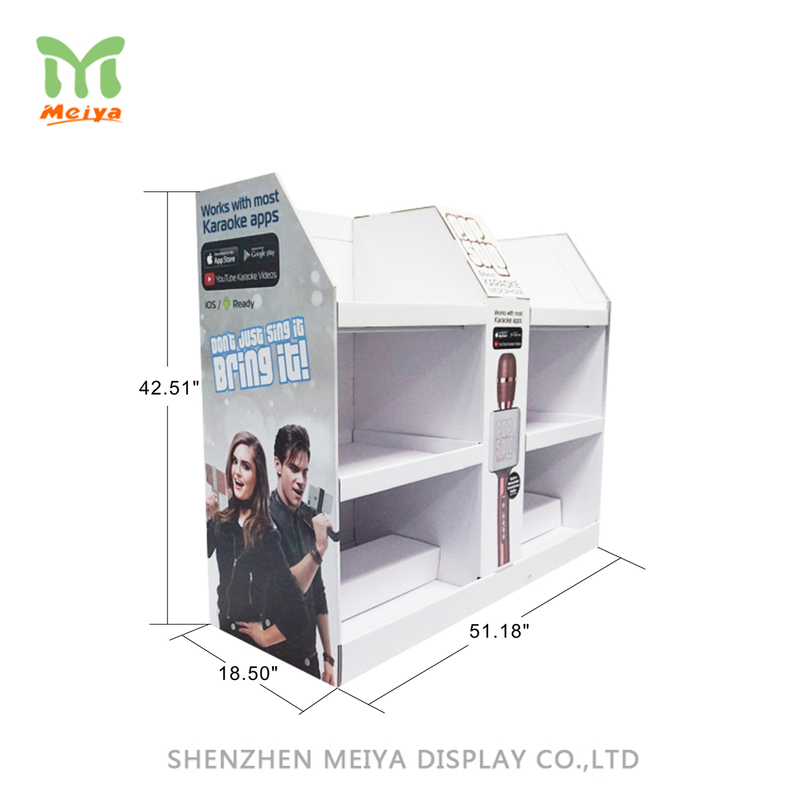 Promote your brands or your products with such point of purchase displays, blooming your sales.